I was amazed at how beautiful and grand it looks. The cinematic storytelling is awe-inspiring. They obviously learned a lot since their Advent Children days. Most importantly, the gameplay holds a lot of promise. So why am I saying that the Final Fantasy series should just die? E3 2013: Final Fantasy XV and the death of the Japanese RPG? 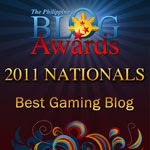 Let me summarize and address a couple of points that have been raised in each page's comments section. #1. Newer Final Fantasy titles have become too visually realistic. It seems like the Japanese aren't too happy that their favorite fantasy game has become too realistic for their tastes. Personally, I have no problems with this. 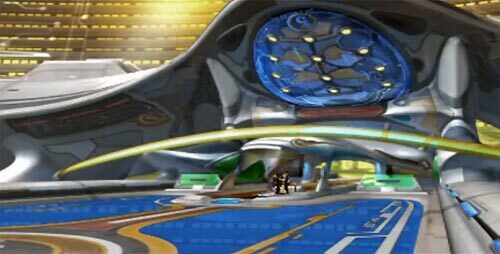 A screenshot of Esthar City, a place in FFVIII where everything looks sci-fi. Final Fantasy VIII was one of my favorite FF titles and even though a lot of people, at the time of its release, complained about it being too modern and bordering on sci-fi, the gameplay still felt very much like a Final Fantasy game. There's the active time bar (ATB). It's turn-based. And the classic job system is very much in place even though it isn't too obvious to many lovers of classic FF. (For example, Quistis is a Blue Mage, though it wasn't explicitly mentioned in the game.) Which leads me to the next complaint. #2 Battle system has changed from turn-based to action RPG. Again, I have no problems with games that employ a non-traditional approach to RPGs. I have no problems with action or fighting games. I was a fighting gamer before I was introduced to Wild Arms and Final Fantasy VII. I have enjoyed Parasite Eve, Dissidia (both the original and Duodecim) and would have enjoyed Kingdom Hearts had it not made me nauseous. I could name many more games I enjoyed that the newer Final Fantasy installments are similar to but don't share the same title. So if these two top comments aren't my issue, why do I still want FF to die? It's simple. A game as promising as Final Fantasy XV should have its own franchise. This new direction that Final Fantasy is taking alienates many of us who aren't purists but want to retain a certain level of consistency in the title itself. I feel that since FFX (a great game, though its sequel FFX-2 actually felt more like its old school counterparts, specifically FFV), the title has been veering farther and farther away from what was expected of it. Sure, innovation is a wonderful thing, but like stage musicals...there has to be a binding force to keep its identity intact. If you can't help but update the look and feel of the game, at least keep the atmosphere in place. Well, a chocobo could be considered a binding force. 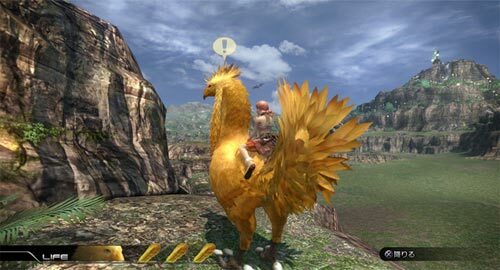 Except I'm not too sure if I should believe Squeenix when it says that this is a chocobo. Source: uploaded by Paramina at Final Fantasy Wiki. Nobuo Uematsu wasn't heavily involved with FFXII, hence I did not feel the Final Fantasy in it, even if I loved its characters Fran, Balthier and Ashe. But with FFXIII totally removing even the battle theme, I wanted to call the game by another title. To me, it has lost every right to call itself a Final Fantasy game even if I still gush over the likes of Lightning and Oerba Yun Fang. It wasn't until that time that I realized that the Victory Fanfare was the last remaining glue that held all FF titles together. The book Buy-ology by Martin Lindstrom explained this feeling perfectly. Among all our senses, our sight is the one most bombarded with stimuli. Visual cues compete with each other for our sight's favor. Because of this constant visual overload, we have actually become quite jaded when it comes to the things we see. This makes our other senses -- particularly our hearing and our smell -- even more powerful. 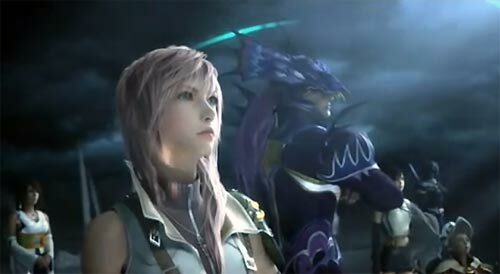 To me, at least, hearing a semblance of the old Final Fantasy reminds me that yes, it is a Final Fantasy game. And now they totally want to deviate from the old ATB system. That blows the "feeling" part out of the water. I understand the need to milk a franchise for what it's worth, but whatever happened to producing other great titles and franchises like Star Ocean, Chrono Trigger, Valkyrie Profile? Couldn't Final Fantasy XV have a franchise of its own so that it wouldn't have to dwell under the shadows of its beloved predecessors? The death of Japanese RPGs...NOT. Well, there's still hope for us people who miss traditional old school games. 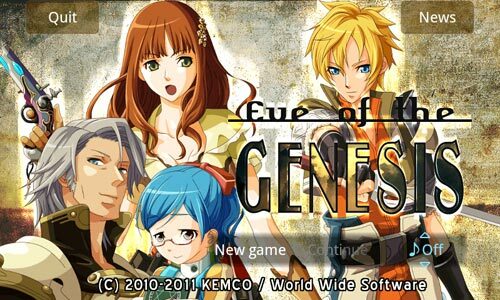 With the advent of mobile games, a few Japanese game developers and publishers like Kemco have been churning out new mobile jRPGs that have that traditional feel we all miss. I am currently addicted to one of those games, which I will be reviewing soon. Their games are available at Amazon.com (sometimes they even have $0.99 titles, and they often have half-price sales). So all is not completely lost...even if half of me is still pining for a new Final Fantasy that actually feels like one while the other half wishes for a Final Final Fantasy.